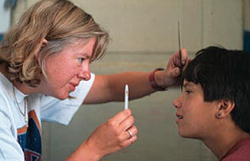 Since 1994 a volunteer team of ophthalmic specialists, trained at Moorfields Eye Hospital, have carried out a vision screening programme in Romania. This programme began in the orphanages and continues in the blind schools of Romania and Moldova. Where necessary, children receive Romanian manufactured spectacles and low vision aids such as magnifiers and CCTV, to improve their sight. 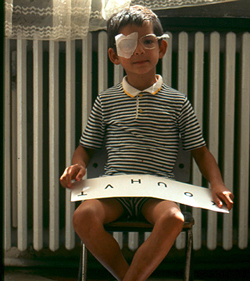 In Romania we worked in partnership with Romanian Ophthalmologists on a squint correction programme. This meant that orphans requiring (and desiring) corrective surgery for strabismus were operated on.